How comfortable are you with website content management? Well, if you are like the millions who are of the opinion that it's not my cup of tea, then here is something that will change your perception without fail. This Drupal 8 tutorial by Root Info Solutions will tease the technology geek lying dormant in you. First off, like any other software, you need to install Drupal 8 on your laptop, desktop or server before getting started with. However, there are certain prerequisites? Get Apache, MySQL, and PHP installed and working. You may use LAMP (Linux, Apache, MySQL and PHP), WAMP (Windows), or MAMP (Mac) solutions to easily install the software. A minimum space of 15 Megabytes is required. 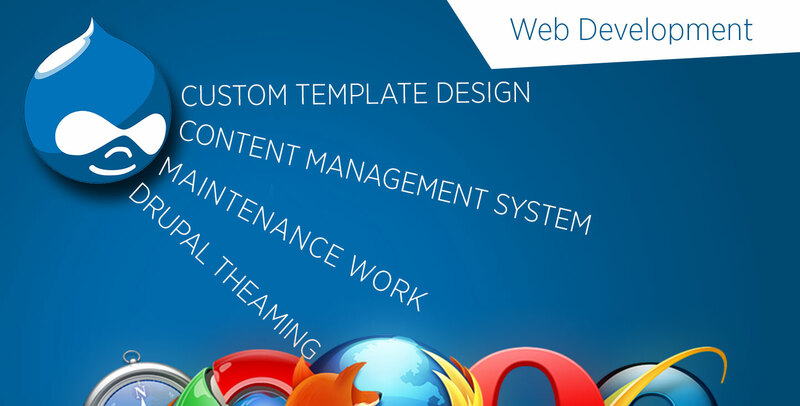 60 MB is needed for a website with many contributed modules and themes installed. The space requirement may vary based on database, files uploaded by users, media, backups and other files. The framework equips you with the 4 key weapons to help you build, manage and repair your content-driven website in a quick and easy manner. The account that you create during the Drupal 8 installation process serves as the Admin account. If you are the sole person to author, edit and manage the CMS, you can go with this account only. Need to share the rights with other persons? You may create Users, using the Admin account via the User login form. Get logged into your account on the home page. Navigate to the ?Admin? menu at to the top of the page. Click ?Manage>People? (in the secondary menu that appears automatically). Next, you need to define roles for respective users. It's nothing but a set of permissions regarding their accessibility to tools and functionalities. Click Permissions near the top of the page. On the Permissions page, you'll see a list of all the permissions that are available to assign to user roles. Enable or remove permissions for each role. With roles and permissions set, the next step is to create user accounts. Click List and then click Add user on the User list page. Enter the values requested, including assigning the user to a role. Note: You may allow Drupal to send an email notification to the respective users. This will also carry instructions as how to access the account on your site. A website may contain diverse content materials, and it would be utterly difficult for different users to manage the content, if there are no predefined mutually consented universal rules. Hence, creating a common vocabulary is a must. For instance, if you own a fitness website, taxonomies such as fitness regime for men, fitness regime for women, for children, for college goers and so on, will help the users managing websites to place the content in the right section of the website. Click the ?Manage? link on the admin menu. Click the ?Structure? link on the secondary menu. Finally, click on the ?Taxonomy? link. Create one or more vocabularies (categories) and assign one or more terms in each vocabulary. Content Types permits the user to choose template to create and publish the content as per requirements. Two basic templates offered with Drupal 8 includes an article and a basic page. Not satisfied with the template? Don't worry. Change the interface of the template as follows: Click Structure, and click Content Types on the Structure page. Discover a list of existing content types as well as a link to create new ones. Add a new field to your content type and for the field type, select term reference. Click Save to continue the process. With the correct correlation between content and taxonomy, you can build an awesome content management system using the Drupal framework. Structuring of the website is an important aspect for your audience or precisely the website users. Let them have a clear navigation on your website with well-defined menus. Click on the Structure link. On the Structure page click on the Menus link. The Menu page lists all the menus defined by default when installing Drupal 8. The Main navigation menu is typically set as the default primary navigational menu. Click on the Edit menu link on the Menus page. Click the Add link button on the Edit menu page. You will be taken to the Add menu link page. From there, enter a title for the menu item (e.g., Root Info Solutions), and enter the URL for that link (e.g.,https://www.rootinfosol.com/). That's all you need to do to create a new menu item! Wondering how to place key information or image matching a content? Well, you need to unleash the potential of Blocks. Check the list of Blocks available with Drupal 8. On the Structure page, click on the Block layout link. On the Block layout page, you will see a list of regions in the left column. Note: You can specify the locations or regions of your blocks, conent and menus to make your website engaging.To move a block, just click on the block name; then, on the block configuration page, select the region where you want the block to appear. You are free to create a block through the Block layout page: Click Add custom block and fill out the form, assign the block to a region, and you are on your way. Got Menus, Content types, Blocks and Taxonomy? Is that not enough to match your needs? Well, don't get disheartened, leverage the power of crowdsourcing. Being an open source framework, Drupal keeps on receiving valuable contributions from its global pool of talented developers. Explore more modules of the framework from https://www.drupal.org/project/project_module. Here, you will find a list of all the modules that are supported on Drupal 8. Every module is supported with descriptions and usage instructions. Want to change the Look and Feel of Your Drupal 8 Site? It's easier than ever. Leverage the Drupal's theming system. The visual representation of your site is controlled through Drupal's theming system. Use a Pre-Built theme if it sounds great to woo your audience. Pick from the list of Starter themes, for e.g. Zen. It not just offers structures but also brings with itself a range of capabilities to personalize the theme. Now you might have experienced the goosebumps. There are some recommended tasks that you must follow to keep your website running at its peak. Backing up your site: Misfortunate doesn't give a knock on the door. But never mind, with Drupal 8, you have got Backup and Migrate module to let you bounce back. Reviewing the log files: Keep a close eye on errors and warnings pertaining to your content mangement system. Navigate as: Manage>Reports>Recent log. Checking for updates: Drupal community cares for the wellbeing of your website and releases updates on regular basis to fix any existing or emerging bugs. On the Reports page, click Available updates?. You may find a list of security or performances patches. Check the status report:Get real-time information about the configuration and stability of your website. On the Reports page, click on the Status link. Take actions if required to overcome any listed issues. Creating and disabling user accounts: Don't keep inactive accounts to avoid any illegal or unauthorized access. Disable user accounts as soon a user quits the task of the website's management. Congratulations on boarding Drupal 8. Hope you would enjoy the Information Technology flight and reach new heights in terms of Web popularity, customer acquisition, customer satisfaction, and brand reputation management.